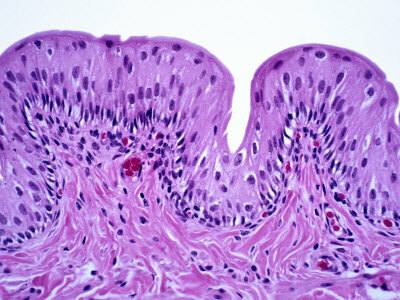 I’ve just completed my histology exam and my body is buzzing with adrenaline. It went by so quickly that I have almost no recollection of the last hour. I know it will come back in pieces, but I think the adrenaline level will need to subside before that happens. This morning began like all other Friday mornings: with the groups waiting for their histology labs crowding the histology corridor in the anatomy building. People were chattering nervously and flying through their notes, trying to cram in as much last minute information as possible. Skjalg and I woke at 5 and spent an hour or so reviewing our weak points before heading out. We both brought our histology atlases (with pictures of the slides) with us on the tram in hopes of reinforcing our knowledge. After a few minutes we realized that nothing was going in and that the time would be better spent taking some deep breaths and talking about something unrelated to anatomy – at both macroscopic and microscopic levels. Our professor appeared on the steps leading in to the lab area and called the members of our group forward. The room was set up with two long tables of ten microscopes each, five on each side. With nothing but a pen in hand, we spread out around the room, placing ourselves at different microscopes. I became momentarily superstitious and hopped over microscope #13, deciding that I needed all the luck I could get. I took a spot at #18 and awaited further instructions. We were given 40 seconds per slide. This time included moving to the next microscope and writing down your answer, so the total time given to identify each slide was most likely around 20-25 seconds. The first twenty slides were set up on the light microscopes and the cell biology slides were projected onto the screen after we completed the first portion. They definitely made things more difficult than I expected. Some of the slides that we’d seen in lab were presented at a much lower resolution than what we had previously studied and some where with a different stain. The cell biology slides were easier, but only because they were the same slides that the head of the anatomy department had sent out earlier this week. After the exam we were told to gather our things and wait in the back corner of the room while the next group filed in. 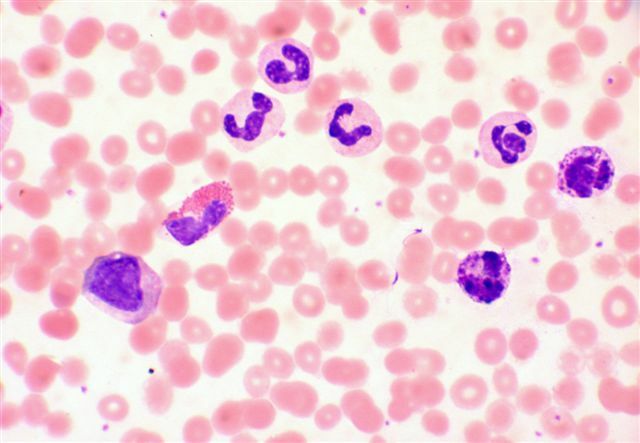 We were ordered by the associate histology professor to not mutter a single word, not in any language. Once they’d settled in, we were allowed to leave – in silence of course. There was still an hour left before I had to be at my statistics lab, so I decided that I would wait outside of the lab area for them to release the results. The expected post-exam chatter ensued and I felt my heart sink a little each time someone mentioned a different answer than what I had put down. They ran long with the results, so I had to head to statistics and asked another member in my group to check it for me. Half-way through my next lab, I looked down at my phone and saw two texts – one from Skjalg and one from the girl in my group – wishing me congratulations on my 5. I couldn’t hold in my shock and was lucky that my professor didn’t notice my reaction. Afterwards I found out that when they were grading the exam, they accepted several different answers for the same slide. So long as you had an answer that made sense, you got full credit. Getting a 5 on this exam puts me in a good position for getting an exemption from the practical portion of the final in anatomy. In order to get an exemption, you need to have a total of 12 points from the three midterms. If I get a 2 on the next anatomy exam, then I will only have to do the theory portion of my final. I would still have to study the same amount, but it would be a load off to not have to worry about that part of the exam. 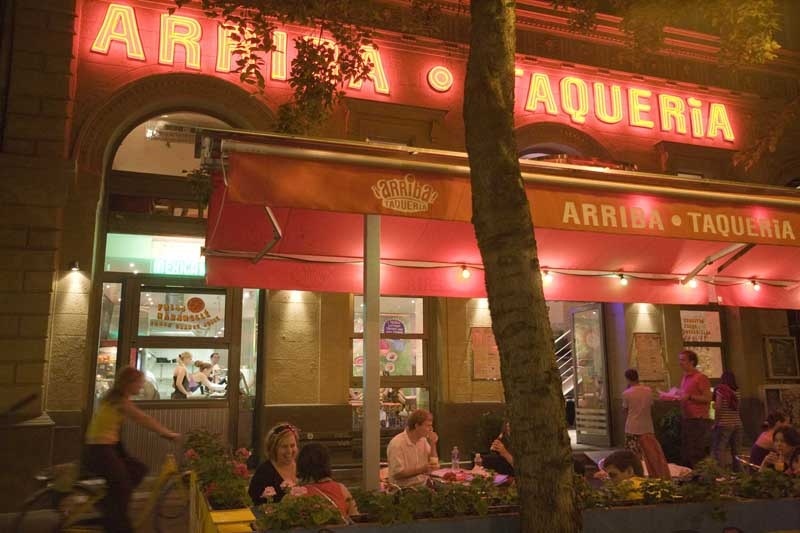 Tonight we will be joining some friends for dinner at Arriba! Taqueria near Oktagon. It’s our friend Rina’s 23rd birthday today and she wanted to celebrate with a casual dinner. It will be a really nice way to close out an otherwise stressful week. You are currently reading It’s a beautiful day for a histology midterm at Buda-B.